Dr. Chang joined the University of Wisconsin as an Assistant Professor in 2007. 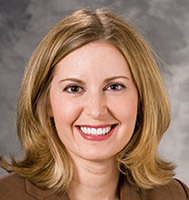 After graduating from Indiana University School of Medicine, she completed her internal medicine residency and hematology and oncology fellowships at the University of Wisconsin. Dr. Chang treats a wide range of cancers, but has special interest in lymphoma and complications of cancer involving the central nervous system. She is actively participating in further developing the Lymphoma Research Program at the University of Wisconsin Carbone Cancer Center. Dr. Chang is part of the UW Lymphoma Research Program, through which multiple clinical trials are focusing on developing improved treatment options for patients with lymphoma. Dr. Chang's research interests include lymphoma, experimental therapeutics and complications of cancer involving the central nervous system.